Well, Mom was right, and she didn’t even know all the yet-to-be-discovered research that supports eating plenty of vegetables. Veggies help you lose weight because they’re high in both fiber and water, which means you get a lot of food for very few calories. In addition to that, they fight disease. So, while experts recommend eating a variety of vegetables, here are the best of the best, based on the following criteria: taste, nutrients (biggest bang per gram), fewest calories (compared with other vegetables), antioxidant (disease fighting) value, portability, ease of use and storage, mouth feel and cooking and eating flexibility. Why: Not only low-calorie and inexpensive, broccoli is also one of the tastiest and healthiest vegetables, and it’s readily available year-round and easy to prepare. Nutrients: It’s high in vitamins A, C and K (which helps keep bones strong) and is also a great source of iron and folate, both of which are at less-than-optimal levels in most American diets, according to David Katz, M.D., M.P.H. One cup of steamed broccoli has 44 calories. Health Perks: It contains some very important phytochemicals, which have significant anti-cancer effects: beta-carotene, indoles and isothiocyanates. Indole-3-carbinol has been shown to suppress not only breast tumor cell growth but also cancer cell movement to other areas of the body. Indoles also block carcinogens before they ever create the damage that starts the process of cancer development, and they promote cancer cell self-destruction. 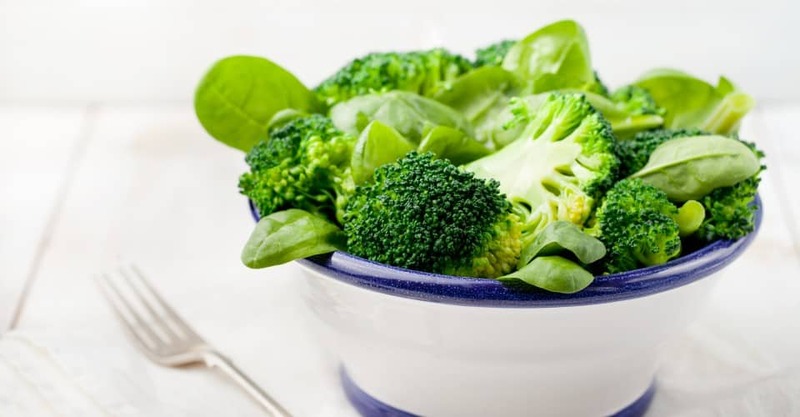 According to Karen Collins, M.S., R.D., nutrition adviser to The American Institute for Cancer Research, “Cruciferous vegetables such as broccoli have been linked with a lower risk of colon, prostate, lung and other cancers. Phytochemicals in cruciferous vegetables may also offer some protection from substances in grilled and broiled meats linked with colon cancer.” Scientists have found that another substance in broccoli, sulforaphane, boosts the body’s detoxification enzymes, thus helping to clear potentially carcinogenic substances more quickly. Broccoli also helps battle diabetes because of its high fiber content, which improves blood sugar control. In addition, broccoli has as much calcium, ounce for ounce, as milk. Calcium is essential for building and maintaining bone mass as well as controlling muscle function. Broccoli also contains lutein and zeaxanthin, both of which are concentrated in large quantities in the lens of the eye and can lower the risk of developing cataracts. Purchasing tips: According to Aliza Green, author of “Field Guide to Produce” (Quirk Books, 2004), you should choose dark green bunches — good color indicates high nutrient value. Florets that are dark green, purplish or bluish-green contain more beta-carotene and vitamin C than paler or yellowing ones. Choose bunches with stalks that are very firm. Stalks that bend or seem rubbery are of poor quality. Avoid broccoli with open, flowering, discolored or water-soaked bud clusters and tough, woody stems. For storage, Green suggests refrigerating unwashed broccoli in an airtight bag for up to four days. Uses: Super versatile, broccoli can be used raw in salads, cooked in soups or sauteed with garlic and a little olive oil for a wonderful accompaniment to many foods. Add a side of broccoli, and cut back on your main-dish portion to save calories. Why: Spinach is packed with an amazing quantity of nutrients for very few calories, and it tastes great either hot or cold. Nutrients: This is where spinach shines: It has such a wonderful supply of nutrients for so few calories. It’s a great source of vitamins A, B2, C and K, as well as folate, potassium, magnesium, beta-carotene and fiber. One cup of steamed spinach contains 42 calories. Health Perks: “Spinach is helpful in controlling blood pressure, keeping blood vessels #healthy, reducing cancer risk and slowing the development of age-related eye damage (macular degeneration). Spinach also seems to protect against breast cancer risk linked to excess alcohol,” says Collins. No wonder. Spinach has 13 different flavonoid (a type of phytochemical) compounds that function as antioxidants and anti-cancer agents. Additionally, vitamin C, beta-carotene and lutein reduce the risk of heart disease by preventing buildup of oxidized cholesterol in the artery walls. 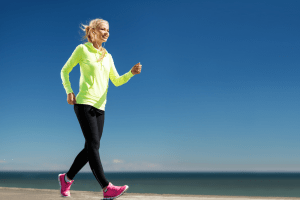 Lutein and zeaxanthin also seem to protect the eyes from ultraviolet light damage. The lutein and folate in this leafy green wonder food also may protect against birth defects. And according to one recent study, a carotenoid found in spinach called neoxanthin helps destroy prostate cancer cells. Purchasing tips: Green recommends looking for “deeply colored, crisp, perky leaves that are unbroken. Avoid spinach with yellowed leaves.” Spinach is tender and will spoil quickly. She also recommends checking for any unpleasant odor if you are unsure if the leaves are still good. Store unwashed bunched spinach in a plastic bag in the refrigerator for two to three days. Uses: Spinach can be a great addition to pastas, soups, casseroles and salads. Substituting spinach for lettuce can be an “eye-opening” experience. Replace one of the eggs or half the cheese in your morning omelet or even in lasagna with spinach, onions or mushrooms — they’ll add volume and flavor with fewer calories than the egg or cheese. Nutrients: Garlic is an excellent source of manganese, a very good source of vitamin B6 and vitamin C and a good source of selenium. One garlic clove has about 4 calories. Health Perks: Garlic protects against cancer through several mechanisms. “Substances in garlic block formation of nitrosamines, which have been linked to stomach cancer. In addition, garlic’s phytochemicals stimulate enzymes that detoxify carcinogens, potentially stopping cancer before it even starts,” says Collins. Garlic is also known to have anti-tumor properties due to the wide variety of organic sulfides and polysulfides it contains. It is also reported to enhance immune function by stimulating lymphocytes and macrophages to destroy cancer cells, and it is reported to disrupt the metabolism of tumor cells. The compound that produces much of the disease-fighting activity of garlic is allicin, which is released when a clove is cut or crushed. Allicin also has anti-microbial properties, which inhibit a wide variety of bacteria, molds, yeasts and viruses. Research also suggests that regular use of garlic can be effective in reducing the risk of heart attack and stroke because it lowers total and LDL (bad) cholesterol as well as triacylglycerol concentrations without affecting HDL (good) cholesterol. Purchasing tips: Choose bulbs that are large, plump and firm with tight, unbroken sheaths, says Green. Avoid soft, spongy or shriveled bulbs or those with a green sprout in the center. Store up to three weeks in the refrigerator. Uses: Garlic can make nearly any food taste great. Saute chopped garlic in a bit of cooking spray with chicken, spinach and broccoli to make an antioxidant-rich, delicious dish. Chopping garlic activates the enzyme that activates its phytochemicals. Cooking it too much, however, destroys that enzyme, so chop garlic and let it rest for about 10 minutes while you prepare other ingredients. “Then add garlic towards the end of the cooking process,” recommends Collins. Garlic’s benefits seem to start with a consumption of anywhere from a couple cloves a week to five cloves a day. Larger amounts are neither necessary nor safe, since too much increases the risk of stomach bleeding, warns cancer nutritionist Collins.